SALT LAKE CITY August 4, 2016 – Attorney General Sean D. Reyes today announced a $125 million settlement between Utah, 47 other States and the District of Columbia (the “States”) and Cephalon and affiliated companies (“Cephalon”) that ends a multistate investigation into anticompetitive conduct by Cephalon to protect the monopoly profits it earned from its landmark wakefulness drug, Provigil. That conduct delayed generic versions of Provigil from entering the market for several years. As the time neared for patent and regulatory barriers to expire and thus open the way for generic competition to Provigil, Cephalon intentionally engaged in an alleged illegal scheme to delay the entry of generic competitors to Provigil that included fraudulently securing an additional patent, filing patent infringement claims against potential generic competitors and paying them to delay selling their generic versions of Provigil until at least April 2012, six years later than they would have absent the scheme. Because of this delayed entry, consumers, states and their governmental entities and others paid hundreds of millions more for Provigil than they would have had generic versions of the drug launched earlier in 2006, as expected. The States’ settlement includes $35 million for distribution to consumers, including Utah residents, who bought Provigil . The States hope this $35 million consumer recovery will be supplemented with recovery from a settlement of a private class action against Cephalon that includes Utah, 24 other States and the District of Columbia. 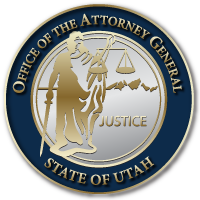 The total estimated recovery for Utah under the States’ settlement will be about $1.55 million, including compensation for Provigil purchases by these Utah consumers and certain Utah government entities, and for the State. This multistate settlement was facilitated by litigation brought against Cephalon by the Federal Trade Commission. In May 2015, the FTC settled its suit against Cephalon for injunctive relief and $1.2 billion, which was paid into an escrow account. The FTC settlement allowed for those escrow funds to be distributed for settlement of certain related cases and government investigations, such as those of the States and private class action cases. This entry was posted in Archived Posts, Recent Posts and tagged anti-trust, Cephalon, Provigil on June 27, 2018 .